It all began in Wisconsin. 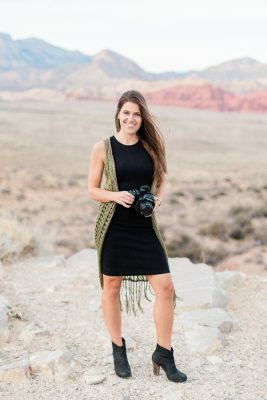 Eileen, originally from the Chicago suburbs, was attending college at Marquette University. 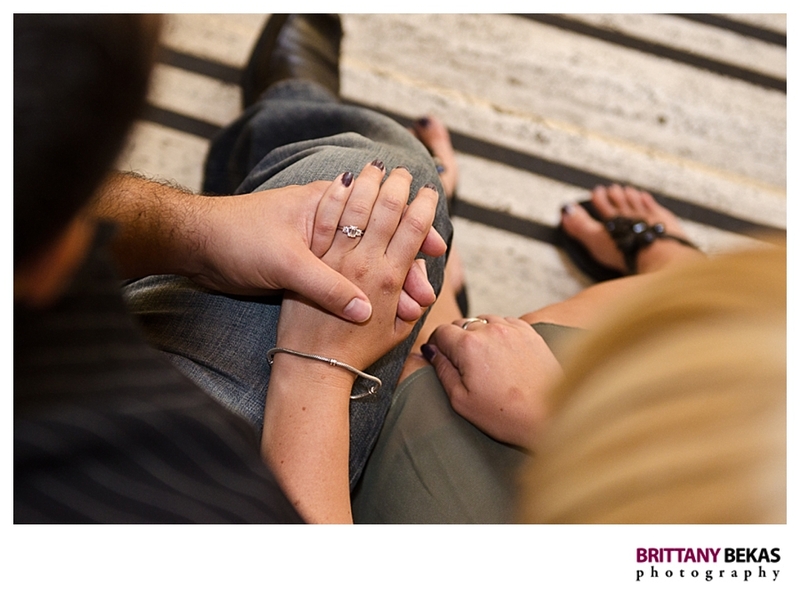 After bumping into each other a few times through mutual friends, Eileen and Mike finally chatted it up … and hit it off. A year of long distance dating strengthened their growing relationship. 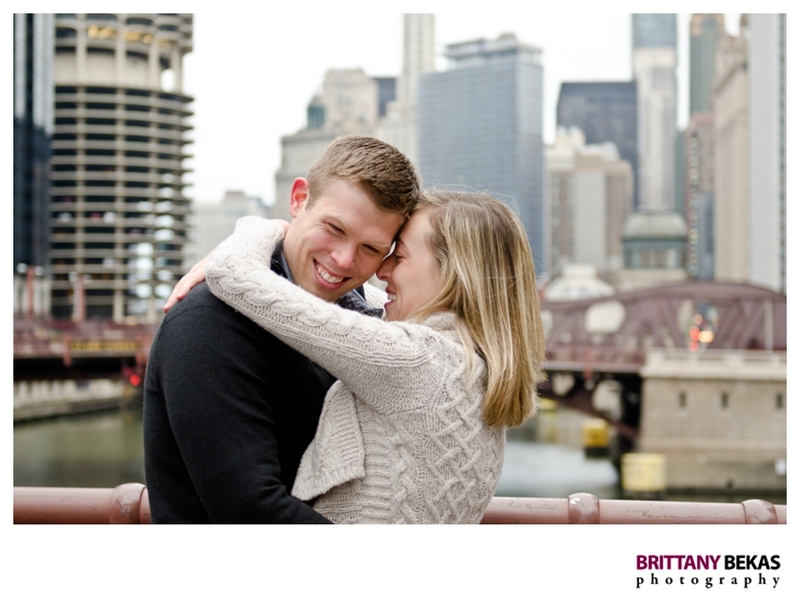 They continued to date while Eileen studied to be a physician’s assistant at Rush in Chicago and Mike worked in Chicago. But then Mike was offered a job in San Francisco …. meaning they would be in a long distance relationship, again. As Mike was packing up his bags for California, he planned the most adorable proposal. On a warm summer day, he picked up two of the ice cream flavors of the day from their favorite ice cream shop for a picnic. Eileen thought it was just another picnic until Mike had her open up one of the ice cream containers to taste the new flavor …. No flavor of the day in there …. just a beautiful engagement ring. Ice cream and a ring? Um sounds perfect to me! 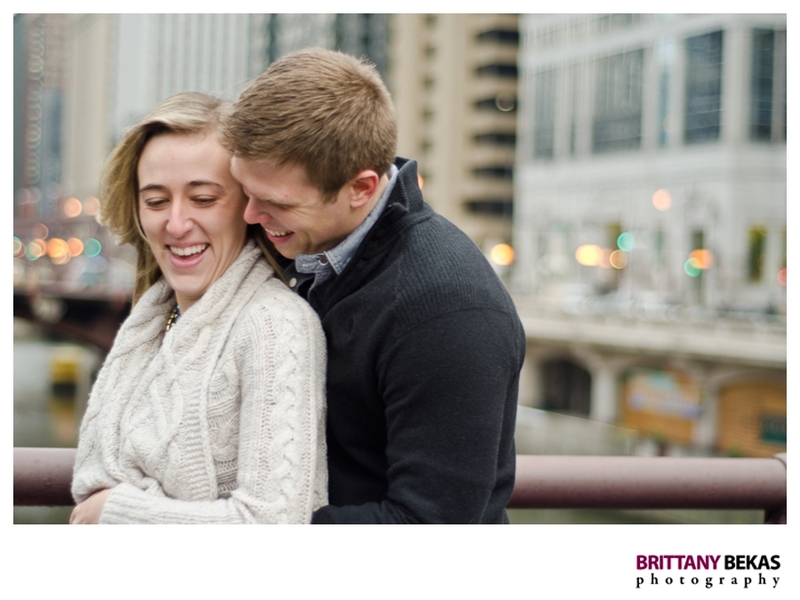 I met Eileen and Mike just days before Christmas in Chicago for a quick engagement session while Mike was in town for the holidays. 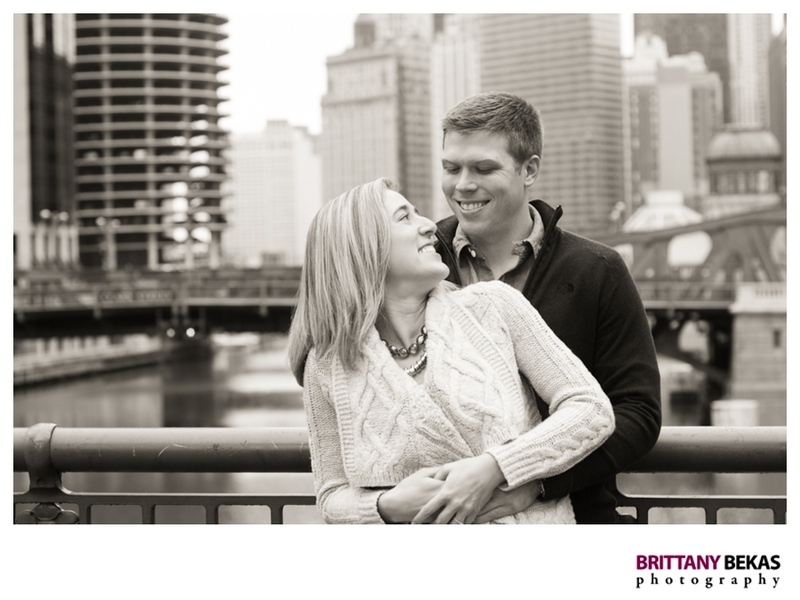 Even with the very cool temps and that Windy City wind, these two were so sweet to one another … warming the other person up, laughing together and just being so in love. 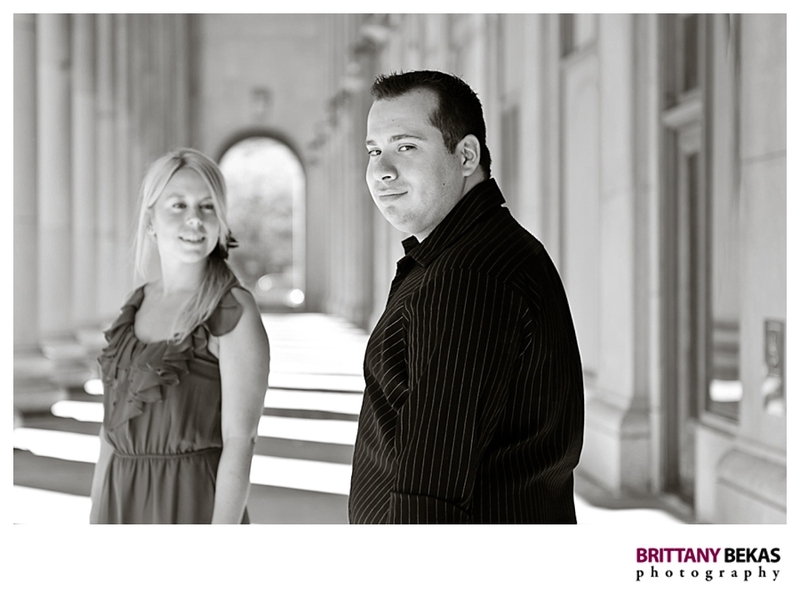 I can not wait to photograph their wedding in October. 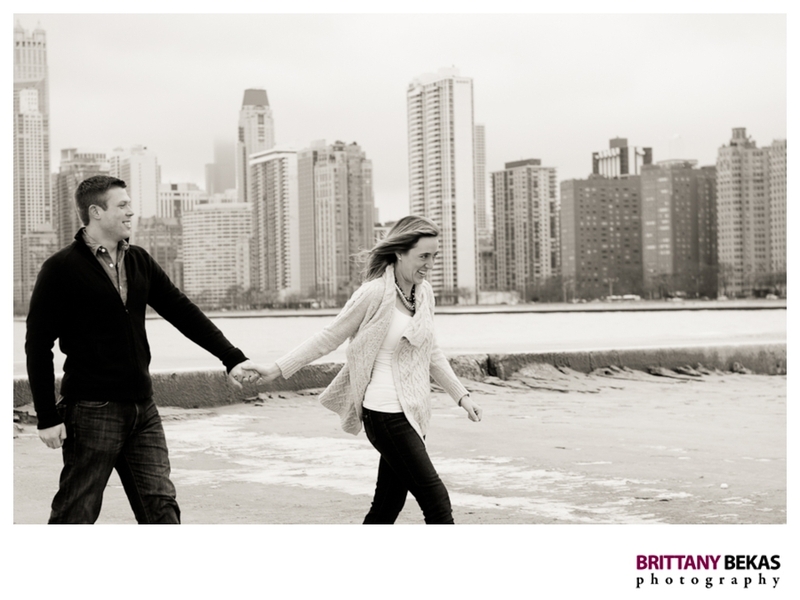 We kicked off our session at North Avenue Beach …. which was … well EMPTY. I guess no one else is crazy enough but us to be at the beach when it is 30 degrees and windy…. It felt 20 degrees warmer at the Lasalle Street Bridge after the beach which made everyone very happy. 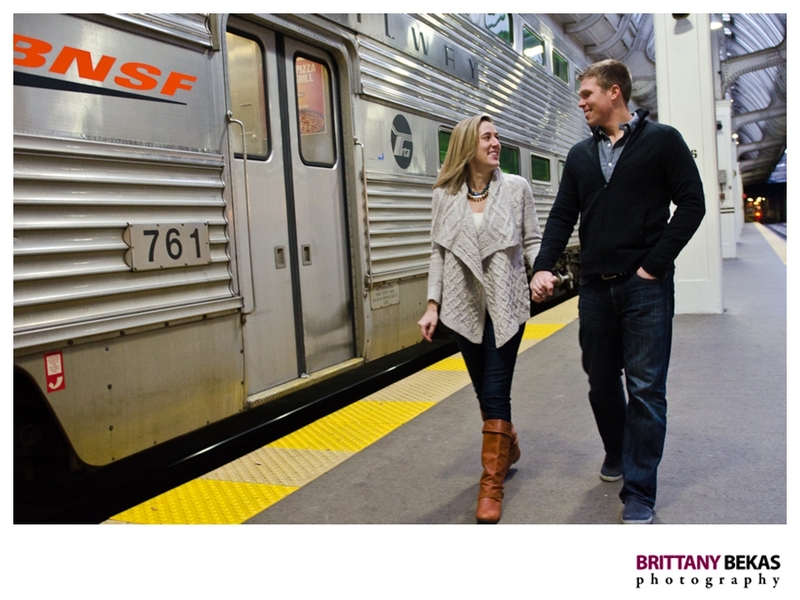 Mike used to take the train into Union Station from Wisconsin when they first started dating, so we headed over to Union Station to capture this part of their relationship. 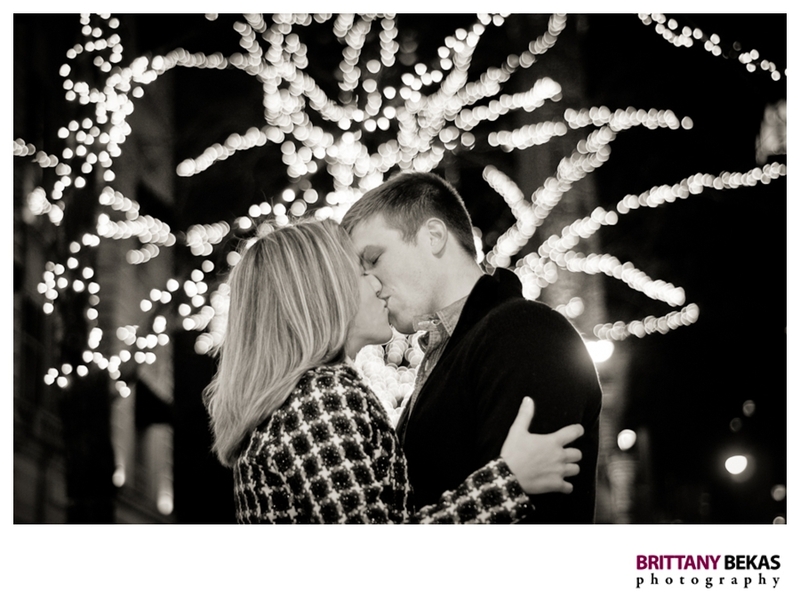 We wrapped up our session on Michigan Avenue with all the gorgeous holiday lights …. and I think this photo captured it perfectly. 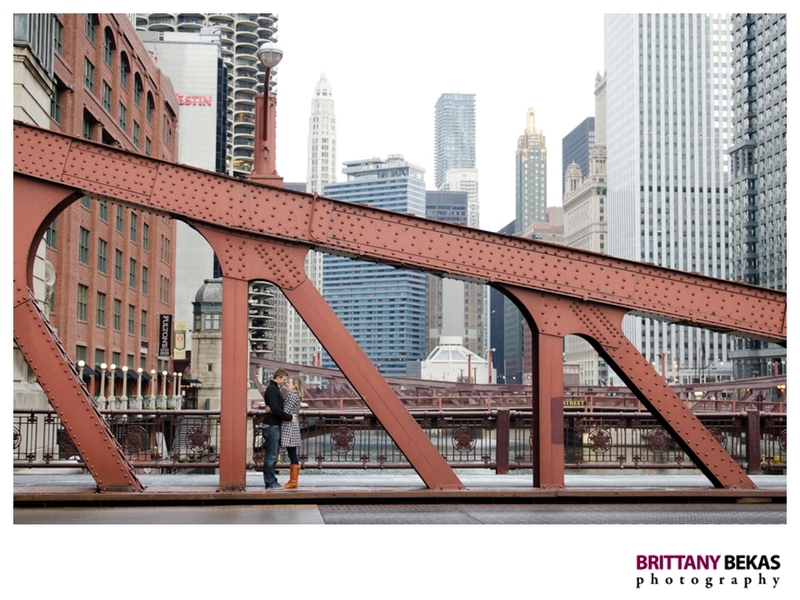 To see more of Eileen + Mike’s Chicago engagement session, watch their slideshow below. The two quickly started dating, however the distance of Julie being at school in Iowa and George being in Chicago made the relationship challenging. The two parted ways, but over the years continued to see each other at different gatherings with mutural friends. George claims that Julie “broke him down” and the two decided to give their relationship another try years later when they were both in the same state. 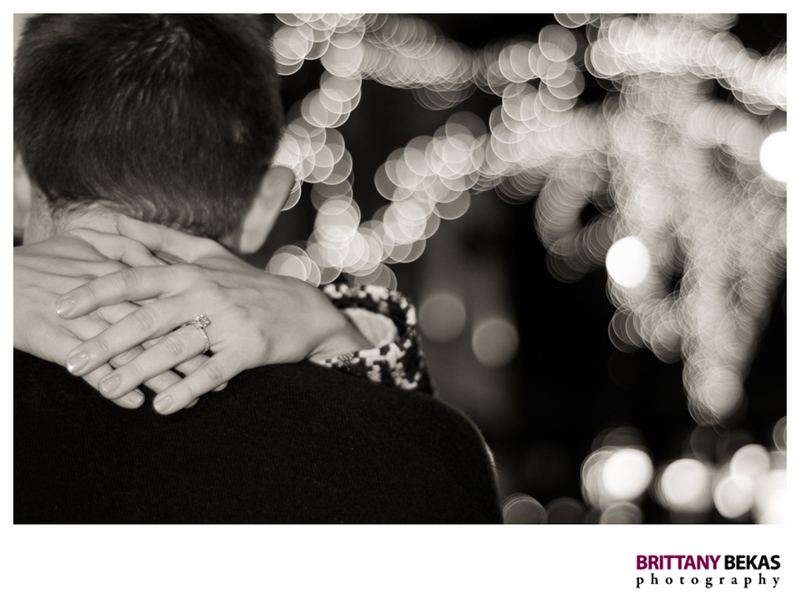 George knew he wanted to spend the years ahead with Julie at his side, so on NYE 2012, he popped the question….and she couldn’t say no to the the hottest guy ever. Congrats to you both! I hope that the days, months, years ahead are full of only love and happiness. 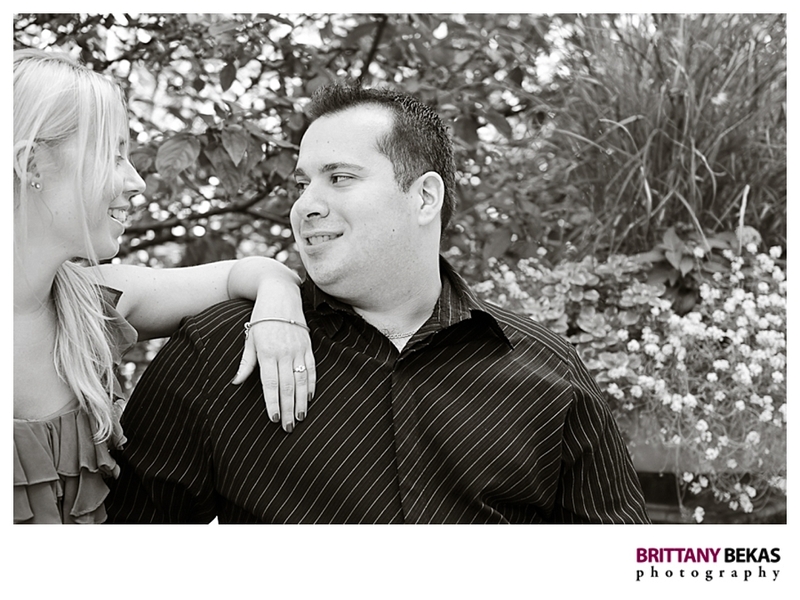 To see more of Julie + George’s engagement session, watch the slideshow below or click on the link.